Easter Sunday is associated with an Easter brunch after sunrise service. Many Denver restaurants are offering special Easter brunch menus for the holiday taking place this year, on Sunday, April 16th 2017, and we’ve rounded up where you can enjoy Easter Brunch in Denver! Looking for an afternoon spot for the gang on Easter Sunday? Pop by Ace Eat Serve in Uptown starting at 2pm on Sunday April 16th. Continue the sugar high of the holiday with brand new springtime desserts including Pineapple Wontons with pineapple jam, sweet thai chili, frozen mousse and raspberry consommé or indulge in the new seasonal Strawberry Matcha Shortcake with coconut custard, matcha sponge cake and fresh and freeze dried strawberries. The younger set eats well at Ace with a top kids menu featuring PB&J Bao Buns, Dim Sum options and shaved ice. Ace offers indoor and outdoor ping-pong tables and multiple seating options on the expansive patio including a heated covered space. Make reservations by calling: (303) 800-7705. Ace Eat Serve is located at 501 E 17th Ave, Denver, CO 80203. Enjoy a pre-fixe brunch menu, from 9:30am to 2pm, at Beatrice & Woodsley this Easter Sunday. The first course features a choice of charred broccoli rabe or ricotta and dried apricot beignets; the second course features a choice of smoked pork belly, red pepper and goat cheese crepes or grilled lacinato kale; for dessert, choose a malted chocolate cheesecake or a passion fruit parfait. Share libations with friends or family like Otho’s BrunchaPuncha, Rye BrunchaPuncha, or enjoy a blood orange mimosa for yourself. Pricing is $36 per guest and $21 per child, with a separate kids’ menu available. For reservations, call: (303) 777-3505. Beatrice & Woodsley is located at 38 S Broadway, Denver, CO 80209. This Easter, Del Frisco’s Double Eagle Steakhouse will be serving up their Sunday best with a special brunch along with their regular menu. They’ll be open early starting at 11am. Executive chef, Mario Hernandez has created a delicious Easter Brunch menu which includes the Filet Egg Benedict, Lobster Benedict and Prime Rib. Enjoy the morning as you sip on a Cranberry Fiz Champagne Cocktail or the Ketel One Bloody Mary. Make a reservation by calling (303) 796-0100. Del Frisco’s Double Eagle Steakhouse is located at 8100 E Orchard Rd, Greenwood Village 80111. Come early, come hungry to brunch on Easter at Del Frisco’s Grille and grab the steak knife to dig into the Grille’s traditional offering for the day, a 16 oz. Prime Rib special. The upscale casual eatery will also be serving their regular brunch menu of classic comfort food designed and built for sharing, indulging and enjoying, including the Red Velvet Belgian Waffles, southern throwback Chicken-Fried Steak & Eggs the must-have Crab Cake Benedict. Del Frisco’s Grille is located at 100 St Paul St #140, Denver 80206. Morning Collective, Denver metro’s new breakfast and brunch destination, is also a new destination for your Easter brunch. With its already extensive menu of “Daily Breads” (molten pancakes and French toast), guests will find a molten carrot cake pancake special for the holiday. Go the savory route with any of the Collective’s Loaded Bowls or Stacked Benedicts and pair it with the special Easter elixir: a carrot spritzer with ginger ice. Morning Collective is located at 2160 S Broadway, Denver, CO 80210. Easter is around the corner, so we suggest following the bunny trail to Olive & Finch Cherry Creek, open from 7am to 10pm on Easter Sunday for a casually elegant brunch or dinner. Instead of colored eggs, you’ll find plenty of the cage-free variety —scrambled, over-easy, you name it—in the all-day breakfast and lunch dishes on the menu. Try it on the spicy side with the D.F. Hash, two cage-free eggs with pulled pork, green chilies, Chimichurri, Swiss, potatoes and onions, or go traditional with the Henhouse Scramble, two cage-free scrambled eggs, Black Forest ham, sautéed mushrooms, red onions, parsley and cheddar cheese. If your Easter plans include dinner, stop in to the new Olive & Finch for an easy yet sophisticated meal including hearty entrée plates or a shareable flatbread. Of course, if it’s “rabbit food” you’re after, pair a fresh pressed juice with your meal, like the Rise & Shine—a blend of apples, kale, grapes, celery, ginger, lemon, orange and spinach sure to put some spring in your step. Pro tip: don’t miss the pretty pink Paloma, we hear it’s the Easter Bunny’s favorite. Olive & Finch Cherry Creek is located at 3390 E 1st Ave, Denver, CO 80206. Make it an “Egg-ceptional Easter” at Postino WineCafé with the unique Postino brunch. The compact and craveable regular menu is enhanced for brunch, and on Easter guests can indulge in scratch offerings from the kitchen highlighting farm-fresh eggs perfect for Easter such as the B.E.L.T., a hearty breakfast panini on soft ciabatta with applewood smoked bacon, scrambled eggs, dijonnaise, lettuce and tomato. Egg lovers with an appetite will love the Farm Scramble with roasted Yukon Gold potatoes roasted and scrambled with fresh eggs, herbs, onions, gruyere and white cheddar alongside a tart mixed greens and tomato salad, and if you’re looking for a simpler rustic take on eggs try the Country Toast with Italian ham, fresh dijonnaise and gruyere topped with sunny side up eggs. Drink a toast with a selection from the eclectic and approachable wine list where any glass of wine is always $5 until 5 p.m., and the fresh housemade mimosas are also $5. Postino WineCafé is located at 2715 17th St, Denver 80211. Bring friends and family to Punch Bowl Social in in the buzzing Baker neighborhood on Sunday, April 16 to enjoy a nontraditional Easter meal along with group-friendly activities beyond the egg hunt. From 8am to 3pm, the southern–inspired menu selections will include Crispy Chicken Biscuit with bread and butter pickles, spicy honey and crisp potatoes and Quinoa Hoe Cake Benedict with Tender Belly bacon, British breakfast tomato and poached eggs. Or, go vegetarian with the Mushroom Biscuits ‘N’ Gravy including buttermilk biscuits, white mushroom gravy, avocado and eggs any style. After the feast, check out the private karaoke rooms for some spring singing or gather your group for bowling, skee ball, ping-pong, retro arcade games, pinball, shuffle board, corn hole and darts. Call (303) 765-2695 for reservations. Punch Bowl Social is located at 65 Broadway, Denver 80203. From 10am to 2pm on Easter Sunday, range downtown will be featuring a variety of delectable brunch stations and buffets for the whole family to enjoy. Offerings include a fresh fruit display; a chilled seafood station with shrimp, snow crab legs, smoked scallops and more; a chef’s carving table with local cheeses and charcuterie; the breakfast buffet of eggs Benedict, smoked applewood bacon and chicken jalapeño sausages; and, finally, a wood oven station, offering omelets your way, Belgian waffles to order and warm, sticky pastries. Make a reservation by calling (720) 726-4800.
range is located at 918 17th St, Denver 80202. SOL Mexican Cocina in Cherry Creek is hosting Easter brunch that will include Baja-inspired favorites such as Huevos Rancheros, three fried eggs over easy, on corn tortillas with refried black beans topped with fresh tomato salsa ranchera, roasted poblano chiles, cheese and avocado; SOL Chilaquiles Verde, corn tortillas sauteed in medium-spicy tomatillo salsa with queso fresco, topped with Huevos Mexicanos, crema, cotixa cheese and onions; Mahaca Wrap Ahogado, shredded beef cooked with ancho chile, onion, cumin and oregano, folded in a large flour tortilla with Huevos Mexicanos, cheese and refried beans, ‘drowned’ in guajillo chile salsa and topped with pico de gallo and avocado; And Souffle Carlotta, SOL’s version of French toast – rich and creamy bread pudding spiked with Patron Citronge and lemon zest, butter-sauteed and drizzled with organic agave syrup, topped with mango, berries, vanilla whipped cream, almonds and powdered sugar. The restaurant also has a kids brunch menu. In addition to seating in the dining room, SOL offers a bright, private dining space that can hold up to 24 people that can be reserved for Easter brunch. Reservations can be made by calling: (303) 953-2208. SOL Mexican Cocina is located at 200 Columbine St #110, Denver, CO 80206. Tavern is offering Easter Brunch at four of its locations: Tavern Lowry, Tavern Tech Center, Tavern Littleton and Tavern Platt Park. 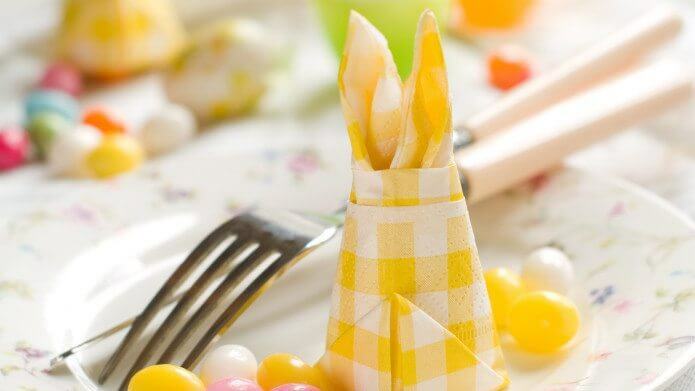 The Easter buffet will be served from 10am – 2pm on Sunday, April 16th. Adults are $35; children under 12 are $12; children 6 and under are free. 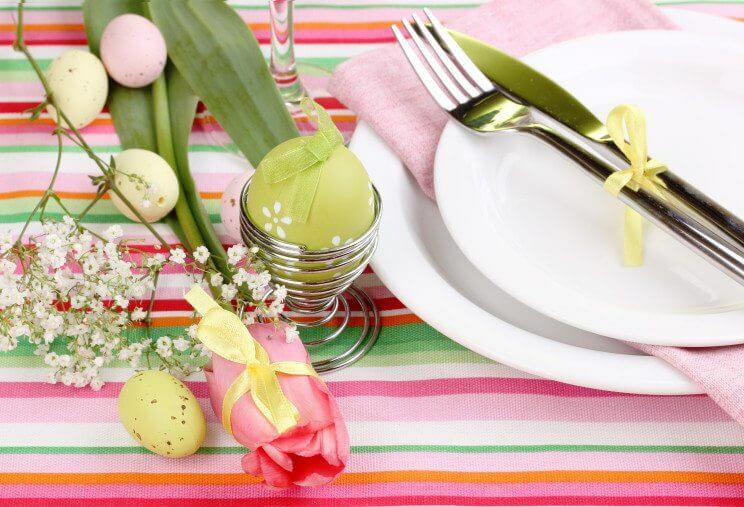 Featured on the extensive Easter Brunch buffet are baked ham, roast sirloin, an omelet station, smoked salmon bar, salads, desserts and much more. Gluten-free options are available. Tavern’s Build Your Own Bloody Mary Bar is a favorite every weekend and can be enjoyed during Easter Brunch for an additional cost, along with the popular Bottomless Mimosas. 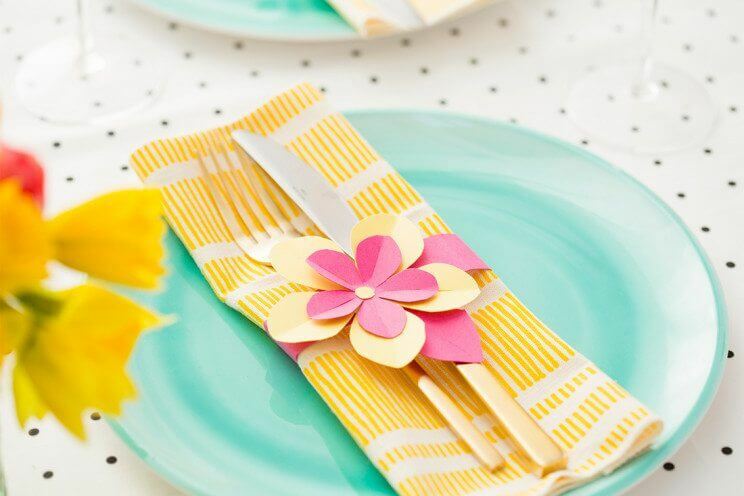 While the adults partake of the Bloody Mary Bar and Bottomless Mimosas, kids can enjoy the Easter fun. They can meet the Easter Bunny and pick a treat from a basket of candy-filled eggs. Make reservation at: Lowry (303) 366-0007; Tech Center (303) 221-4660; Littleton (303) 730-7772; And Platt Park (303) 226-1766. Skip the expected glazed ham or rosemary-garlic roasted lamb this year: instead, go beyond the merely traditional to try out a savory, tender rabbit dish for Easter this year at longtime LoDo favorite Vesta. Executive Chef Nicholas Kayser is pushing boundaries this year with a cavatelli special with all-natural, tender, delicate braised rabbit with English peas, pea tendrils, roasted carrots, and a deeply complex Parmesan fennel broth. It’s a simple, savory dish with elegantly complex flavors and textures for Easter. Pro Tip: wash your rabbit down with Vesta’s spring-inspired Rosemary Mezcal Paloma – the “poor man’s margarita” balances a smoky counterpoint to the tender rabbit and pasta with los nahuales joven mezcal, grapefruit soda, agave nectar a dash of house made grapefruit bitters for balance and a sprig of rosemary for garnish. Vesta is located at 1822 Blake St, Denver, CO 80202.